If you liked the post quesapita or pitadilla, you are going to love this one! I had some leftover pita dough (recipe follows) and thought maybe I could prepare it in the same fashion as one of my latin favorites, pupusa. It worked! Check it out! 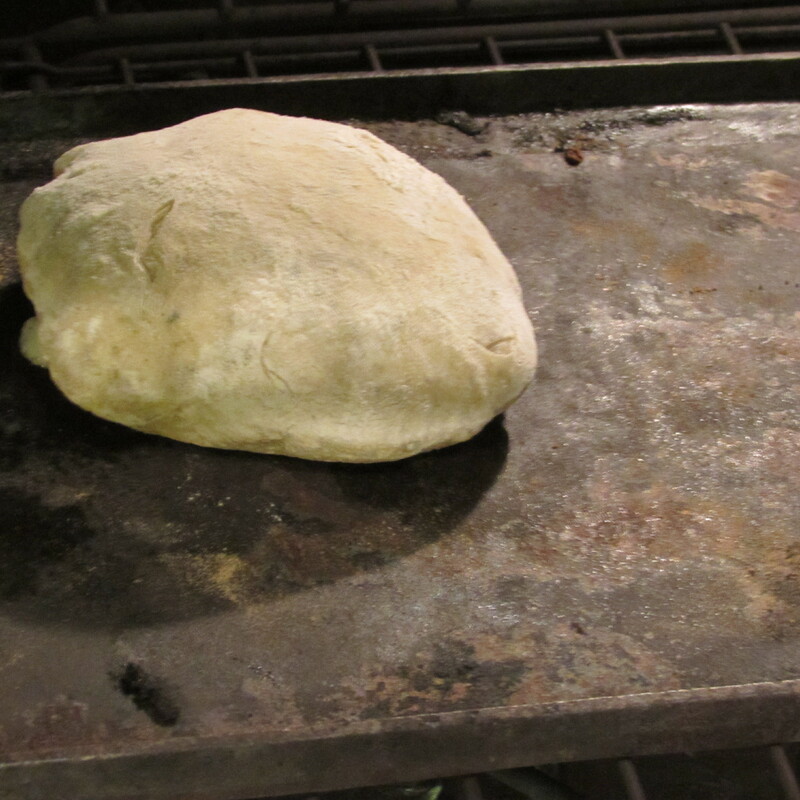 Preheat oven to 450 degrees with an oven safe griddle or cookie sheet on the bottom rack of the oven. 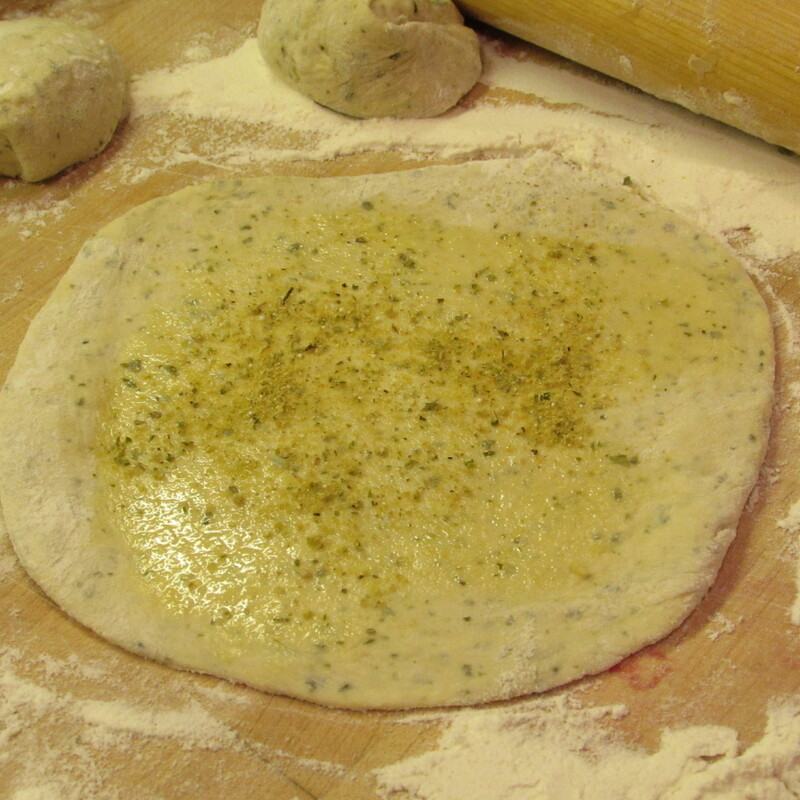 Combine all dry ingredients together, then add olive oil and egg and incorporate well. 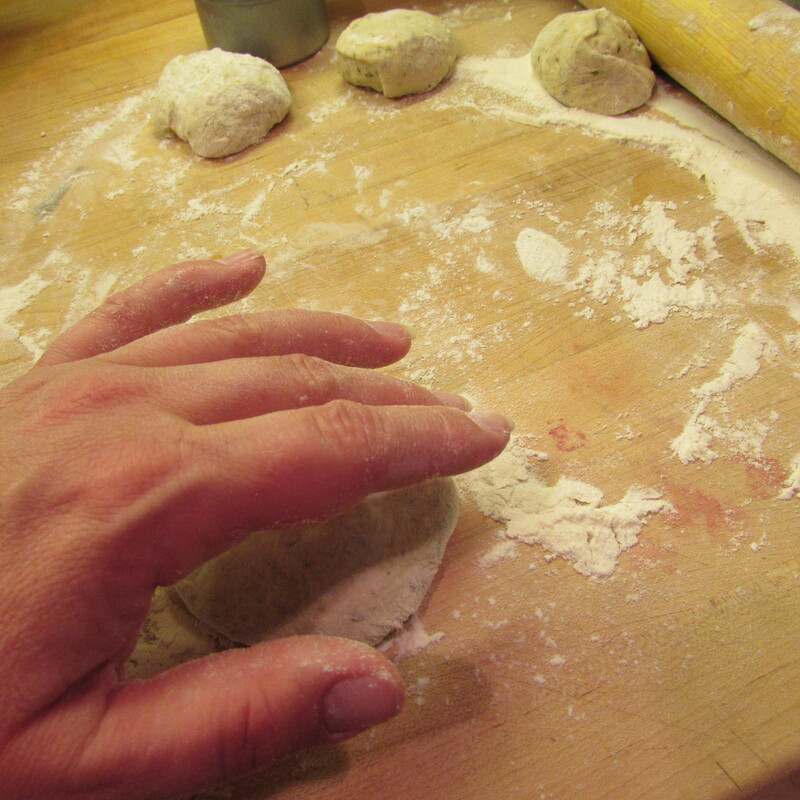 Add water and knead dough around 5 minutes until a smooth, elastic dough forms. 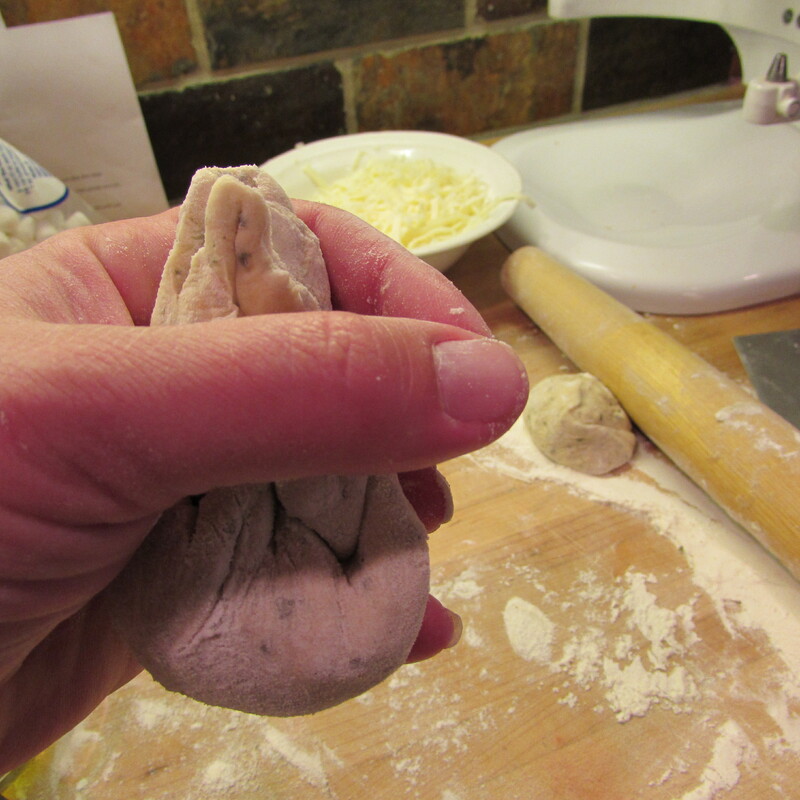 Roll out a golf-ball sized amount of dough thinly. 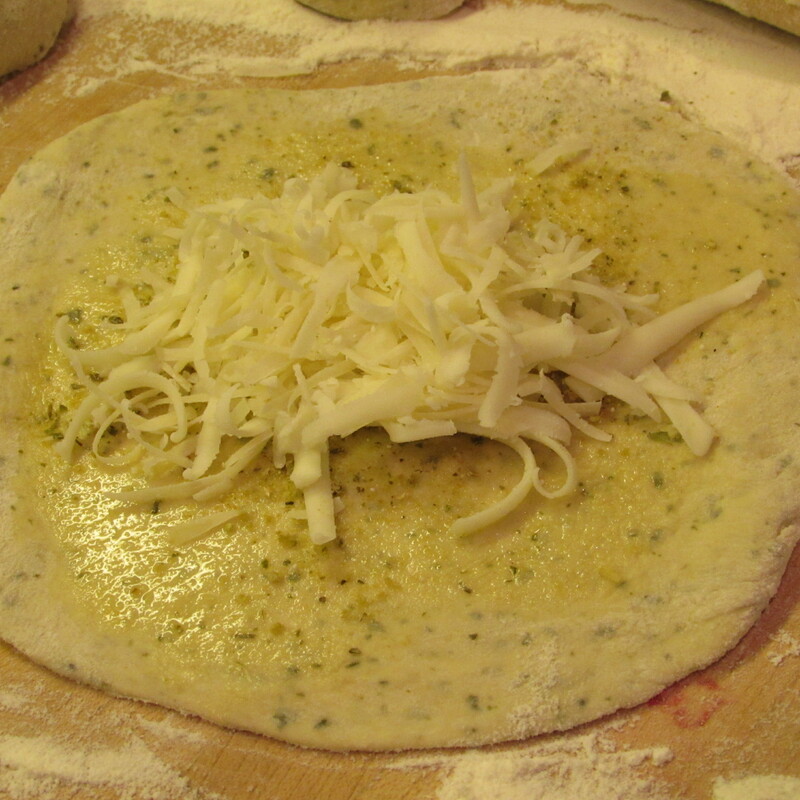 Brush with olive oil, sprinkle with Johnny’s Garlic seasoning and top with a little cheese. 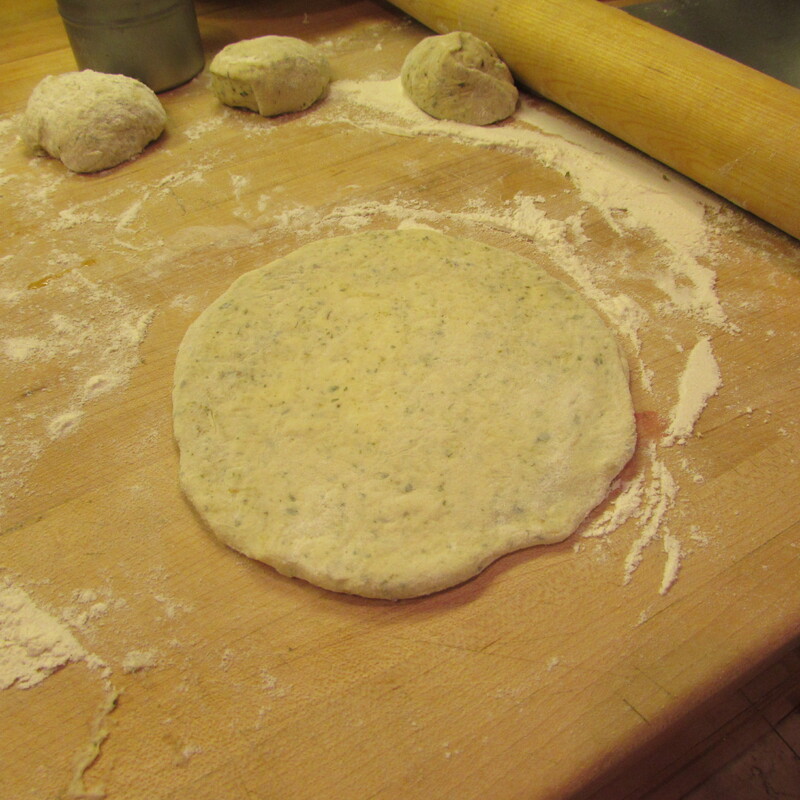 Next, pull up all edges of the dough round, pinch and twist in the middle, flatten by hand and re-roll. 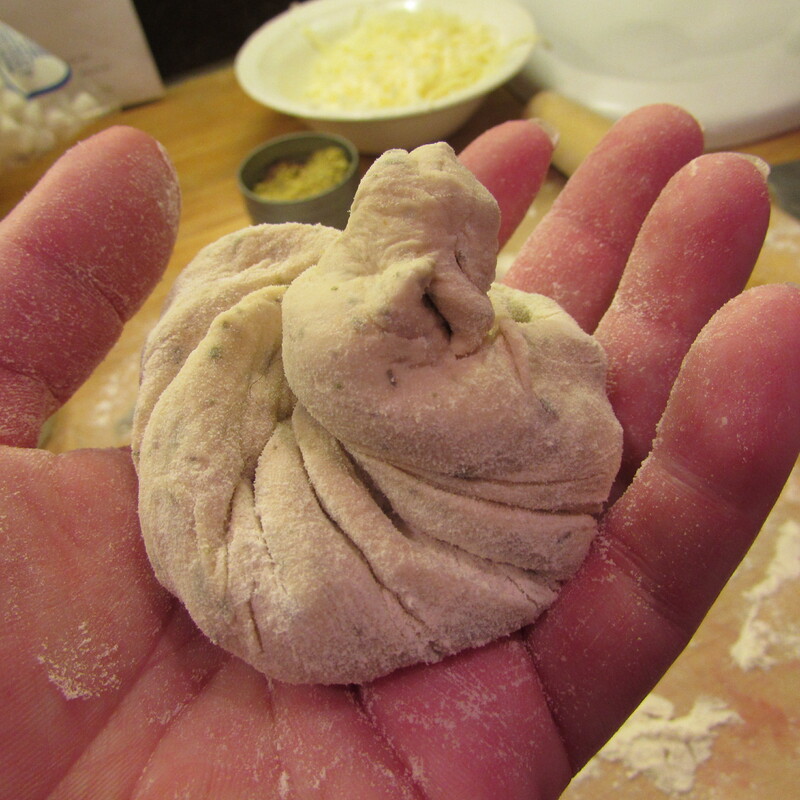 Place round on the griddle and cook for a few or until the dough puffs up. Flip and cook for a few more minutes. Delish! 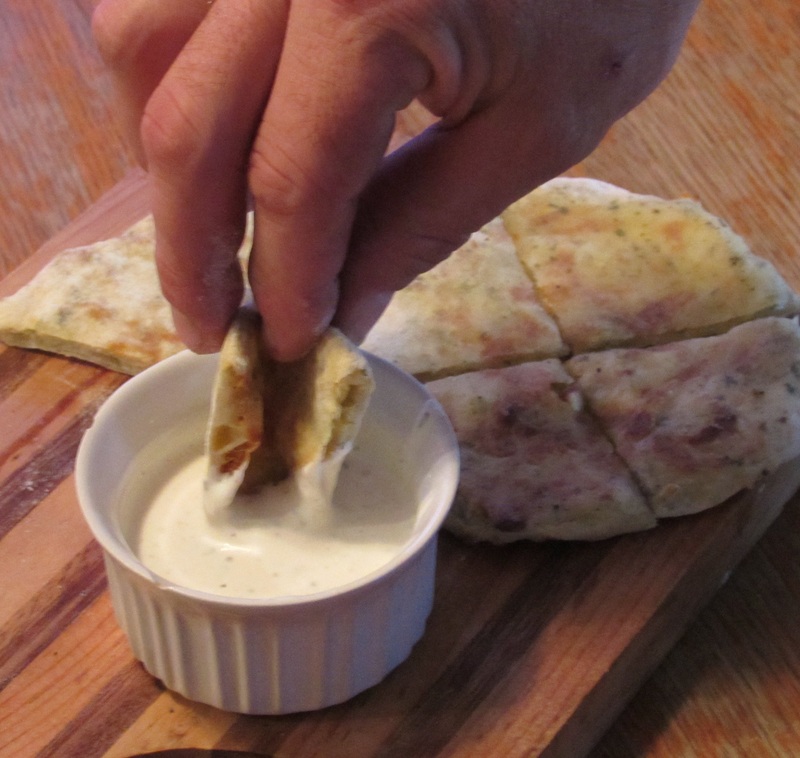 Tags: cheater pupusa, Homemade pita dough recipes, pita recipes, pupusapita. Bookmark the permalink.